The Annual Precision Medicine Symposium brings speakers from across the country to discuss recent advances, current challenges, and promising future applications of precision medicine. Speakers from various colleges on the UAHS campus will also give presentations on exciting precision medicine research projects happening at UA. The talks at this year's symposium will explore the application of genomics to improve population-scale health, and narrow down into rare genetic conditions as models for understanding human biology and disease. The 4th Annual Precision Medicine Symposium is co-Sponsored by the Center for Applied Genetics & Genomic Medicine, Banner-University Medical Center Phoenix, the BIO5 Institute, and the Center for Biomedical Informatics & Biostatistics. The Center for Applied Genetics and Genomic Medicine (TCAG2M) focuses on the application of genetics and genomic biology to improve healthcare delivery for the people of Arizona. TCAG2M supports outstanding translational and clinical investigations into the etiology of disease and the development of new approaches to manage these conditions in the clinical setting. This philosophy has driven the creation of divisions in cancer genetics, cardiopulmonary genetics, clinical genetics and genetic consultation, community engagement and education, technology and innovation, pharmacogenomics, and population genetics to advance our translational and clinical agenda. 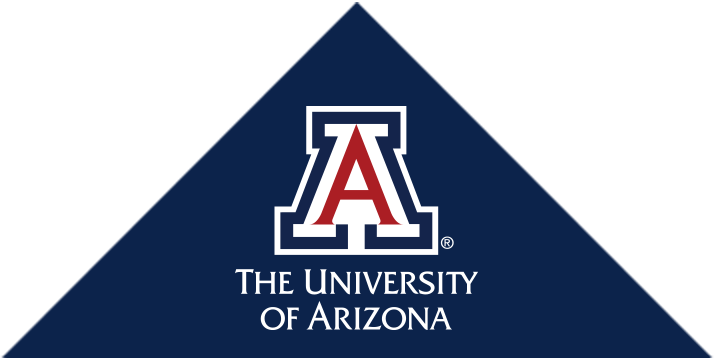 TCAG2M is headquartered at University of Arizona Health Sciences and has established interactions with all health science colleges in Tucson and Phoenix as well as several colleges and core facilities throughout the University. Banner – University Medical Center Phoenix is a large teaching hospital that has provided medical care to Arizona and the Southwest since 1911. It is part of Banner – University Medicine, a premier academic medical network. The hospital, recognized by U.S. News and World Report as one of the nation’s best hospitals, specializes in heart care, cancer care, high-risk obstetrics, neurosciences and stroke care, organ transplants and emergency care, including a Level 1 trauma center. Banner – University Medical Center Phoenix is part of Banner Health, a nonprofit health care system with 28 hospitals in six states. The institution, which has trained thousands of doctors over decades as a teaching hospital, is the academic medical center for the University of Arizona College of Medicine – Phoenix. For more information, visit www.bannerhealth.com/UniversityPhoenix. The BIO5 Institute at the University of Arizona mobilizes top researchers in agriculture, engineering, medicine, pharmacy, and science to find creative solutions to humanity’s most pressing health and environmental challenges. Since 2001, this interdisciplinary approach has been an international model of how to conduct collaborative research, and has resulted in improved food crops, innovative diagnostics, devices, and promising new therapies. Learn more at BIO5.org. Center for Biomedical Informatics and Biostatistics (CB2) has a dual mission of promoting research and offering services and tools in the fields of biomedical informatics and biostatistics. With the goal of building a data-driven learning health system, CB2 is advancing precision medicine analytics and providing leading-edge services to translate Big Data science and genomic discoveries to clinical care. Over 20 staff biostatisticians, bioinformaticians, computational biologists, and clinical informaticians work synergistically to conduct analytical studies, epidemiological analyses and research design that comprise multiscale, structured and unstructured data from expression arrays analyses, high-throughput sequencing, proteomics, clinical narratives, patient health information, tissue specimen management systems, clinical trial management systems, and other biomedical data sources. For more information, please visit cb2.uahs.arizona.edu.